Alton C. Parker, Canada’s first black detective. It’s about history, sure. It’s about equal rights in 1950s. It’s about a guy who became the first black detective in Canada. But Alton C. Parker’s story is a lot more than that: It’s the story of a man who held the heart of his community. Born in 1907, Parker became a mechanic, as many men of any colour did in Windsor during that era, when Cadillac and Pontiac and Ford were becoming names less associated with historical figures than with the miracle of modern engines. A job like that, in a city like that was something to be desired: steady and sure. But Parker had a calling, and in 1942—two years before Ontario enacted the Racial Discrimination Law and one year before the Detroit race riots of 1943—he became an officer of the law. History tells us that his road wasn’t smooth, but that his charm and gentle manner quickly won him a place among his white peers. He felt he had been called to serve his community, and his strength of character and work ethic saw him promoted to the rank of detective in 1951. 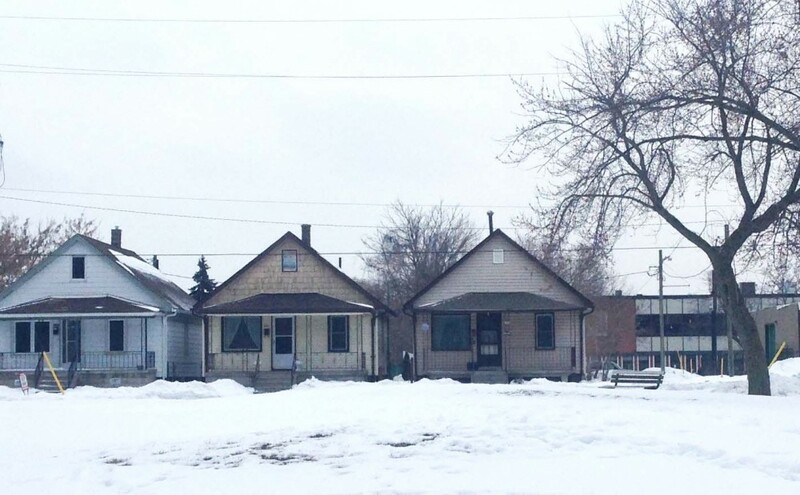 Though his work load would have doubled, one imagines, Parker and his wife, Evelyn, never lost sight of their joint calling: helping the community. 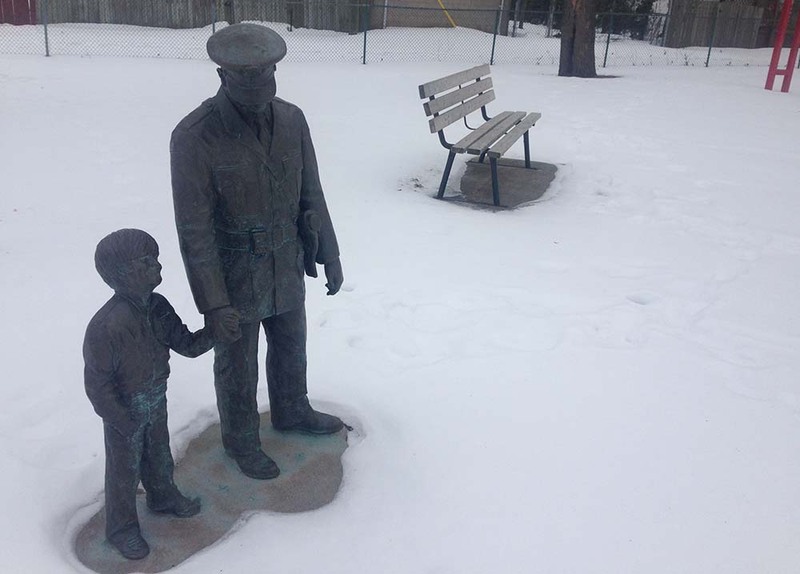 A statue in Broadhead Park in Windsor honours Canada’s first black detective, Alton C. Parker. He and Evelyn organized and paid for Uncle Al’s kids’ party in their neighbourhood every year. Over two and a half decades, hundreds of children turned up in Broadhead Park for party games and treats and a picnic. His desire to serve didn’t stop there: He co-founded an organization to help disabled adults find apartments and was on Goodwill’s board of directors. For his selflessness, he was awarded many honours, including the Order of Canada. 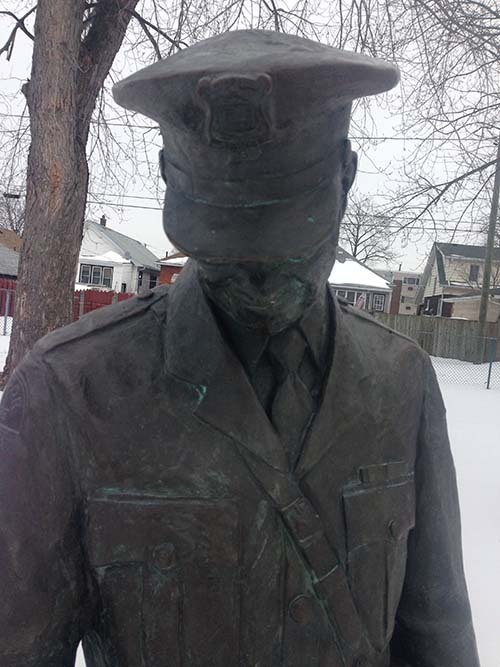 Click here to read more about Parker and other important figures in Windsor’s black history. 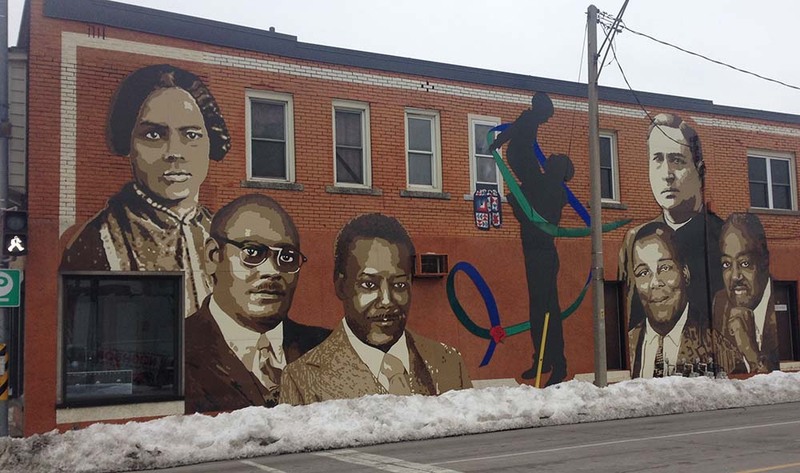 Mural in Windsor, Ont., features Mary Ann Shadd, Bishop C.L. Morton, Justin Jackson, Rev. J.T. Wagner, Walter Perry and Alton C. Parker. There is also an Underground Railroad quilt pattern and a Harmony Ribbon, the symbol of Windsors.